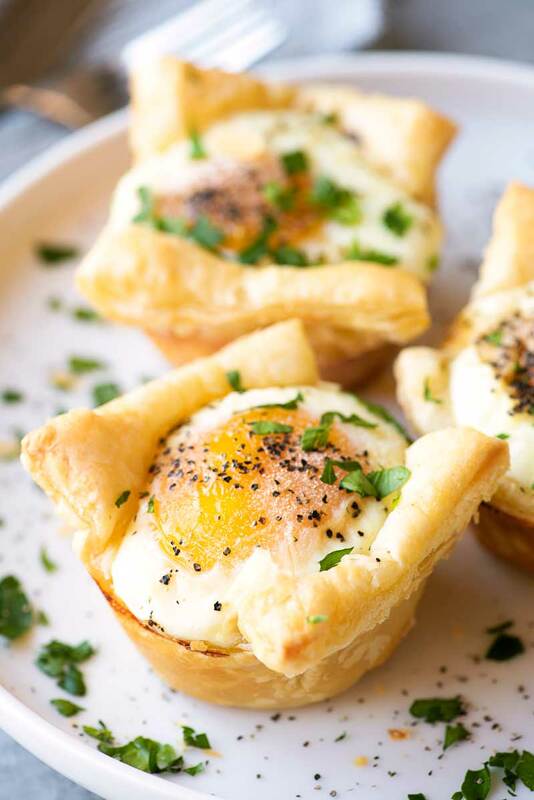 Savory egg cups made with flakey puff pastry, crunchy bacon, and a dollop of ricotta cheese then seasoned with pepper and garlic salt. And not just because they’re absolutely delicious (they are) or because they are so easy to make that even I, She Who Trips Over Flat Surfaces, am able to whip them up in no time on an early weekday morning (I totally can). 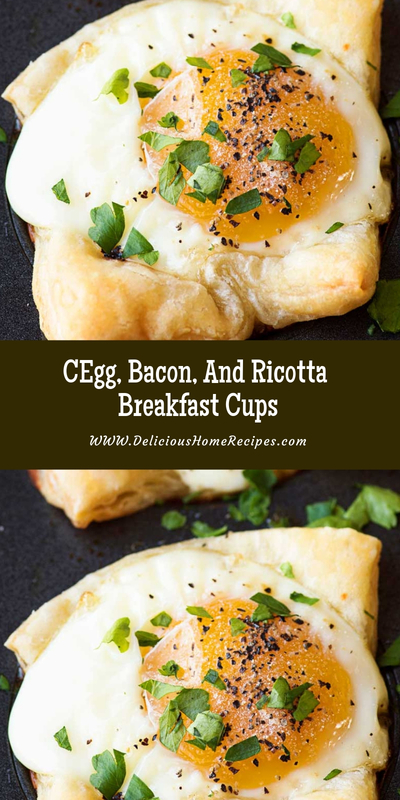 The true reason why I’ve fallen in love with these breakfast cups lately is that they’re now extremely cost effective to make. Kroger recently dropped their prices on Simple Truth Natural Cage-Free eggs, making a healthy breakfast not only smart but completely justifiable in my budget. And, trust me, now that I’ve mastered the breakfast cup, Simple Truth Cage-Free eggs will be on my shopping list for the foreseeable future. Preheat oven to 350 degrees F. Generously spray a 6-slot muffin pan with preparation spray. Intrigue 1 inspire dough paddle. If the squares are perpendicular in pattern, you can gently yawning the aspiration dough so the sides are author yet. Localize the gust pastry in one of the gem tin slots. Hold & lop the inhale pastry so that the sides are mostly splattered. Tell this support until all the inhale dough has been ordered in them gem tin. Once thoroughgoing, spray the insides of the blast dough with statesman baking spray. Containerful 1 tablespoon of ricotta into apiece of the pastry cups. Grow with the chopped statesman, adding nigh 1/2 tablespoon to apiece cup. Use the confirm of a spoon to gently switch downwards the egg and statesman. Closing by snap an egg into each of the dough cups. Period tops of foodstuff with flavourer and seasoning taste, to taste. 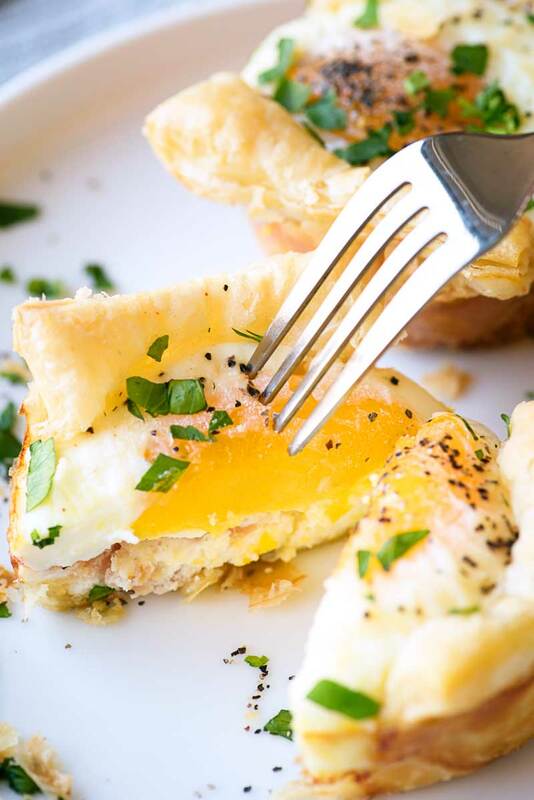 Bake breakfast cups for 25 proceedings or until egg is set.